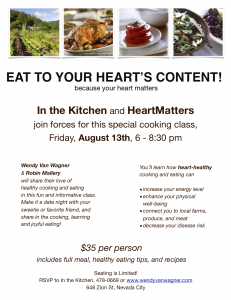 8/13/10 Eat To Your Heart’s Content! 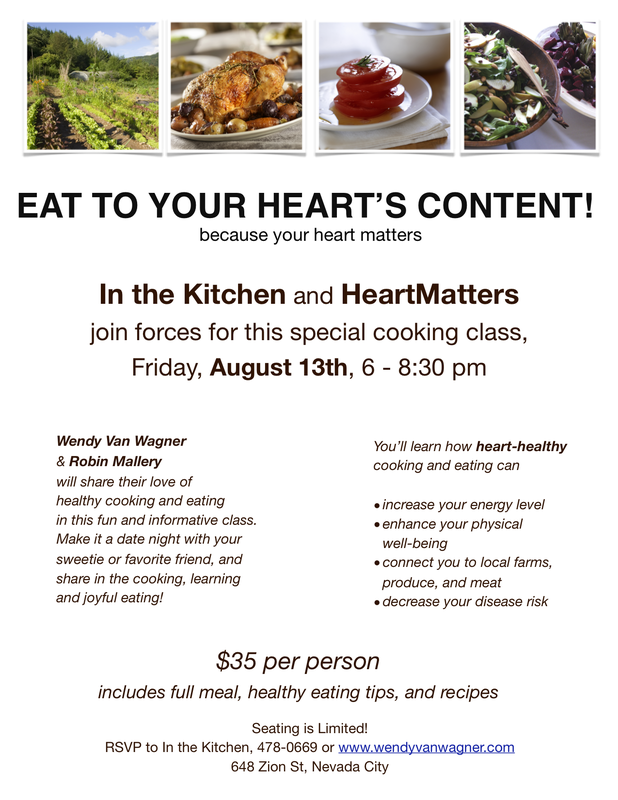 I am joining forces with Wendy Van Wagner of In The Kitchen for this informative, fun, and delicious heart-healthy cooking class. We are looking forward to seeing you there. Space is limited so register soon at 478-0669!